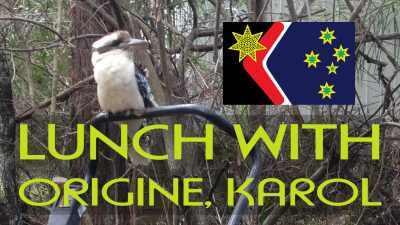 #kookaburra #australia Origine Karol dropped by for lunch today. Yes Karol with a ‘K’. It’s a Kookie Kookaburra thing.